We have successfully exhibited our Gemini bath at the Lincolnshire Partnership NHS Foundation Trust exhibition: ‘Moving and handling – Moving forward in children and adult care.’ This event took place at the Newark Showground and was attended by a healthy number of professionals including OTs and Moving and Handling Practitioners. 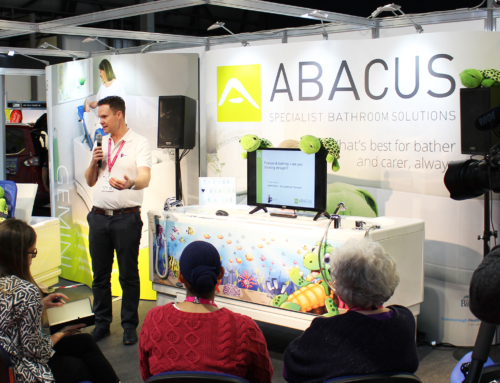 Our height-adjustable platform Gemini bath proved popular as a high number of demonstrations were performed throughout the day. 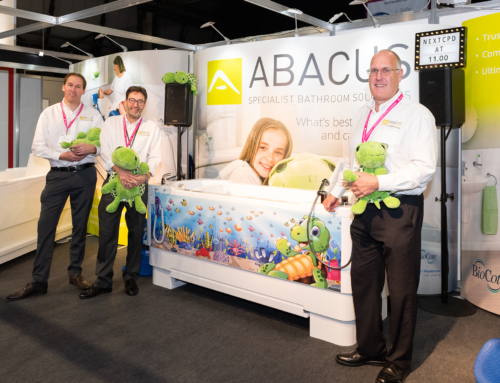 The event provided the opportunity for therapists to network with the Abacus Product Specialists and discuss the latest assisted bathing solutions for greater client comfort and safety.